One of the most fascinating rock bands ever, Pink Floyd was formed in 1965. After a year in the London ‘underground’ experimenting with revolutionary techniques like lights which matched their music, they released their first single in 1966. Their breakthrough album, THE DARK SIDE OF THE MOON, was released in 1973 and stayed in the charts until 1982, the longest a record has ever been continuously in the charts, becoming one of the best-selling albums of all time. In 1975 they released WISH YOU WERE HERE which reached iconic status, then in 1979 THE WALL went to number 1 in almost every country in the world. The movie version of THE WALL starring Bob Geldof was released in 1982, becoming a cult favorite. In the 1980s a rift developed between the band members which culminated in law suits. Only recently have there been reconciliations which have allowed founder member Nick Mason to write his personal take on the band’s history. Saucerful of Secrets is the first in-depth biography of this very private group. At the heart of the saga is Syd Barrett, the group’s brilliant founder, whose public decline into shattered incoherence–attributable in part to his marathon use of LSD–is one of the tragedies of rock history. The making of Dark Side of the Moon and Floyd’s other great albums is recounted in detail, as are the mounting of “The Wall” and the creation of the flying pigs, crashing planes, “Mr. Screen” and the other elements of their spectacular stage shows. The book also explores the many battles between bass player/song writer Roger Waters and the rest of the group, leading up to Water’s acrimonious departure for a solo career in 1984 and his unsuccessful attempt to disolve the group he had left behind. Saucerful of Secrets is an electrifying account of this ground-breaking, mind-bending group, covering every period of their career from earliest days to latest recordings. 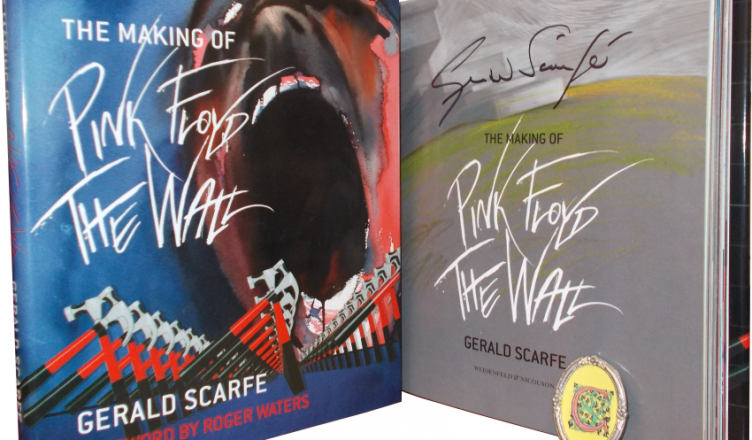 It is full of revealing information that will be treasured by all who love Pink Floyd’s music. 4. Pink Floyd and Philosophy: Careful with that Axiom, Eugene! Pink Floyd’s sound and light shows in the 1960s defined psychedelia, but their later recordings combined rock, orchestral music, literature, and philosophy. Dark Side of the Moon and The Wall ignored pop music’s usual strictures to focus on themes of madness, despair, brutality, and alienation. Here, 16 scholars set delve into the heart of Pink Floyd by examining ideas, concepts, and problems usually encountered not in a rock band’s lyrics but in the pages of Heidegger, Foucault, and Sartre. These include the meaning of existence, the individual’s place in society, the contradictions of art and commerce, and the blurry line between genius and madness. The band’s dynamic history allows the writers to explore controversies about intellectual property, the nature of authorship, and whether wholes, especially in the case of rock bands, are more than the sum of their parts. Syd Barrett was Pink Floyd’s founder, singer, guitarist and principal composer, who left the group in 1968 amidst tales of acid-induced madness. Barrett’s brief flash of erratic brilliance has is now the stuff of rock legend, and his post-Floyd recordings have become cult classics.